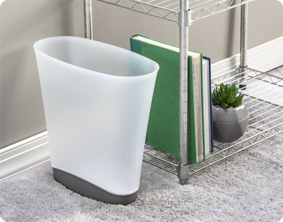 The 2.4 Gallon / 9 Liter Slim Wastebasket is designed with a slim, modern aesthetic and features a space-saving profile, textured exterior and a color-accented base that adds a pop of color to any home décor. 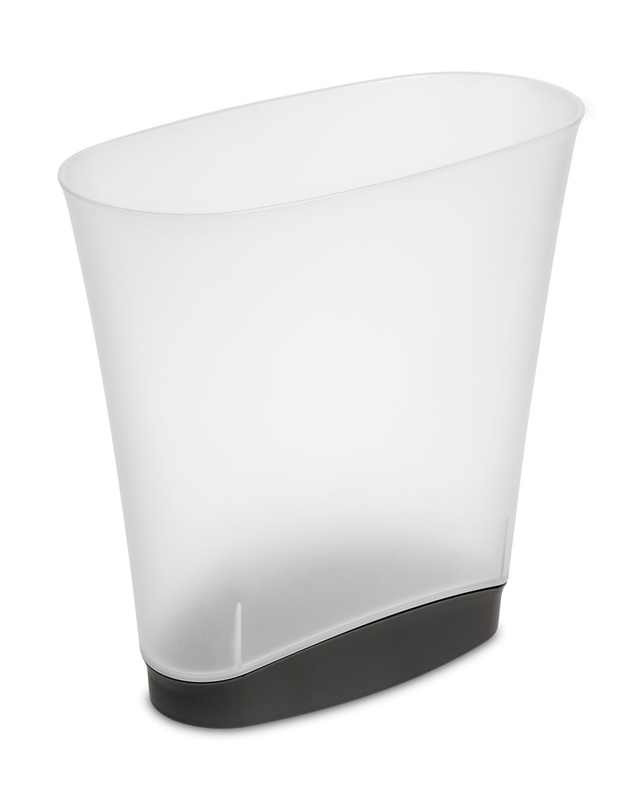 This wastebasket is great for use next to a desk in an office, between the washer and dryer in a laundry area or by the sink in the bathroom where narrow spaces require a more space efficient solution. Its modern design works to conceal and contain trash and debris for all busy families. It has an easy-to-clean textured surface an accommodates a standard plastic shopping bag or 4 gallon trash liner. 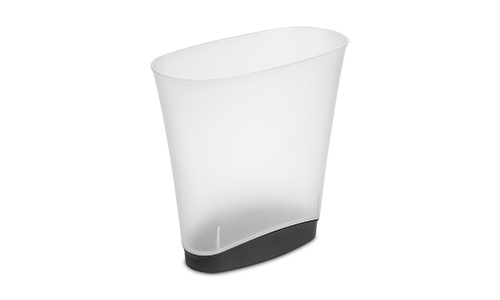 The overall dimensions of this item are 13"L x 6 1/2" W x 12 3/8" H.
Overall Assembled Size: 13" x 6 1/2" x 12 3/8"
The Slim Wastebasket is perfect for utilizing tight spaces in small rooms such as an office or bathroom.